British baptism for Barolo Bussia 2013, the first vintage made by the Boffa family from the Fantini vineyard in the celebrated Bussia zone in Monforte d’Alba, one of the additional geographical definition of the world famous Piedmont DOCG. 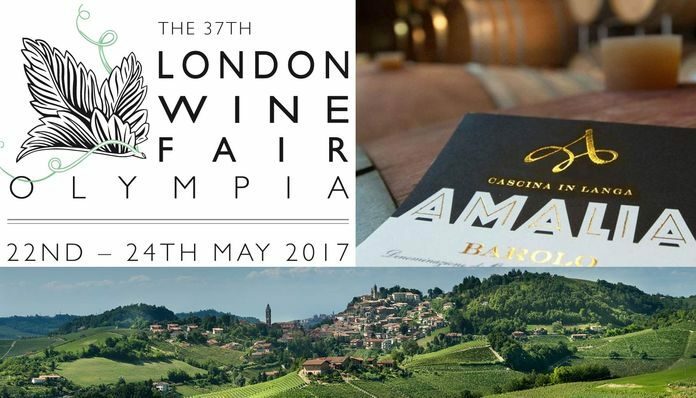 Amalia Cascina in Langa’s Monforte d’Alba wines are crossing the Channel to be tasted in London from 22nd to 24th May 2017 at the 37th London Wine Fair, a hugely important date in the United Kingdom’s wine market year and one with extremely important attendance figures. London’s Victorian style Olympia exhibition space will showcase 10,000 wines from over 600 exhibitors, who will be receiving a forecast 15,000 visitors at least, a figure based on pre-registrations and numbers at previous, always highly successful editions. And Barbera d’Alba 2016 and Barbera d’Alba Superiore 2015 will also be there in international preview.